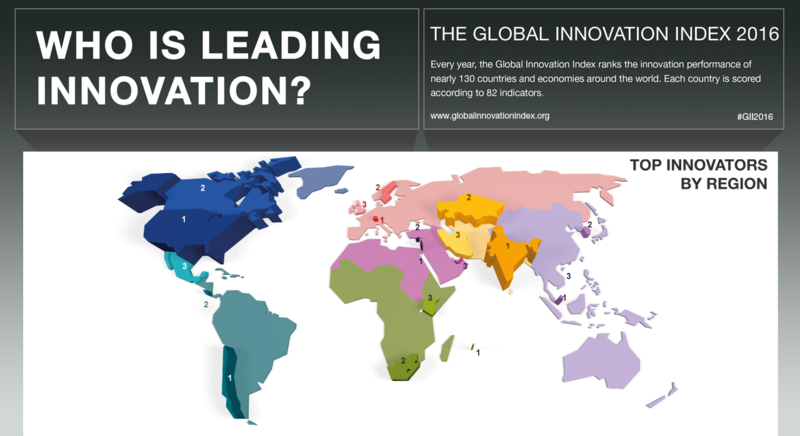 Global Innovation Index 2016: Who is leading innovation? Click on the pulsing dots to find out more. 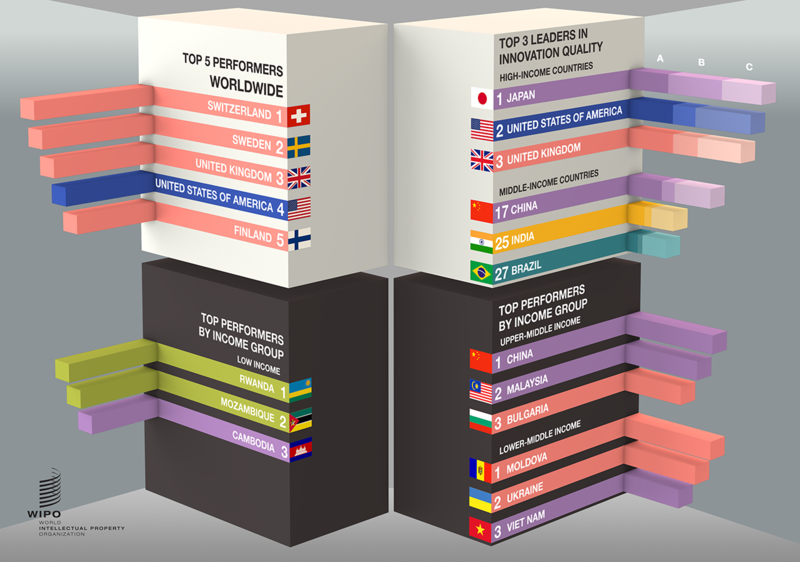 Click on a country name to discover more rankings.